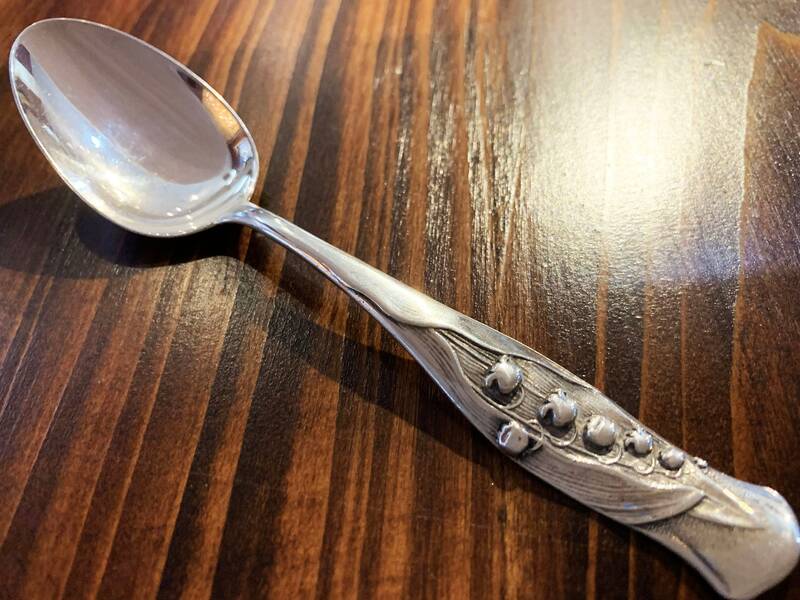 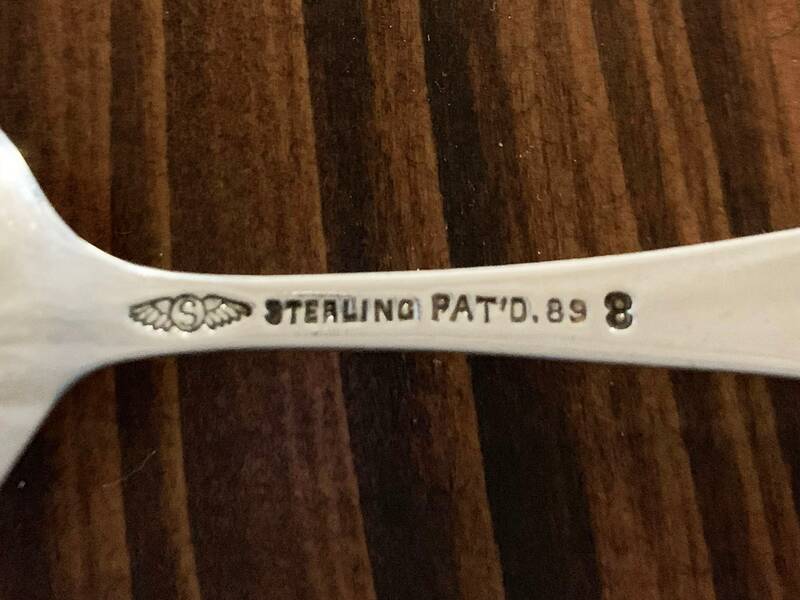 Dine in timeless elegance with this stunning sterling teaspoon created by George W. Shiebler in 1889. 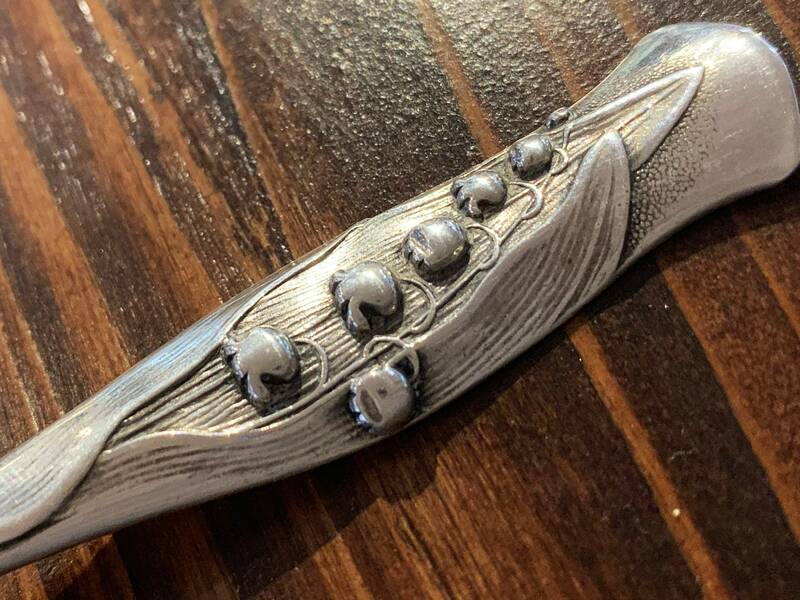 Hailing from the American Art Nouveau movement, the Flora pattern is known for its uniquely textural and artistic floral design featuring seventeen handle motifs, each with a different flower. 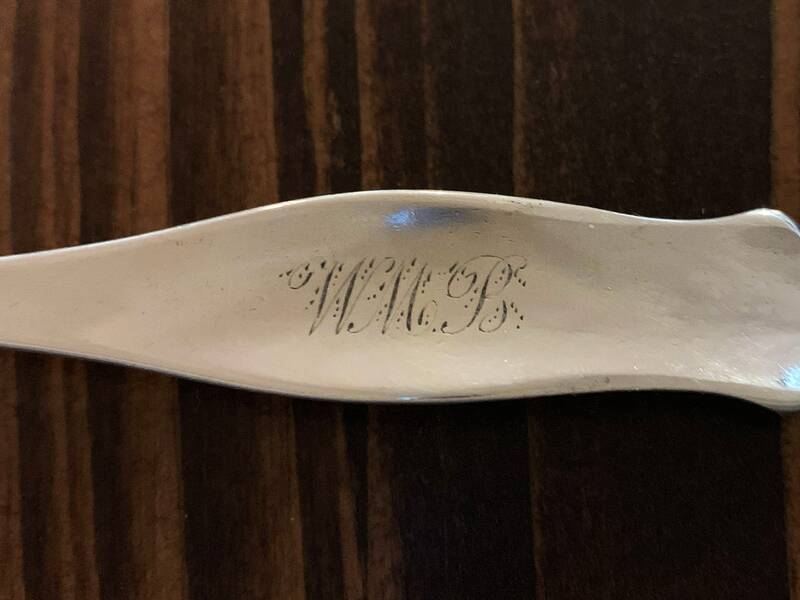 Monogrammed WMB on the inner handle.